Scan has teamed up with Seagate to gift one of their fans with a brand new hard drive! 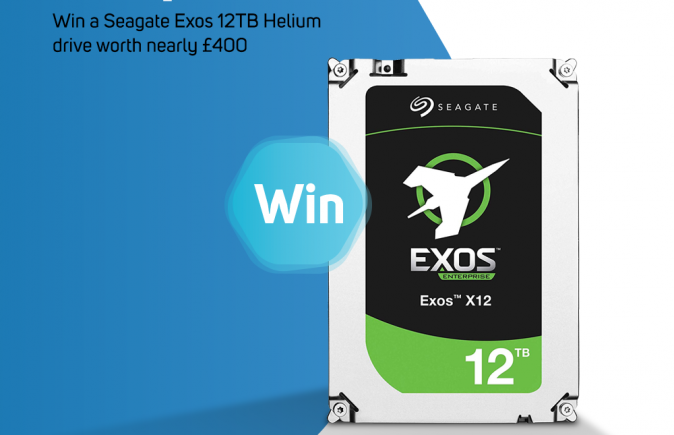 To enter in this Seagate Exos 12TB Helium Hard Drive Giveaway grab your free entries by following few simple steps listed down below! Seagate Exos enterprise hard drives—the family including Exos X12 and Exos X14—offer the highest performance and reliability in its class. Exos’ enhanced caching feature, tailor-made for demanding storage applications, provides the fastest hard drive data transfers. This makes the Exos drives the best NAS hard drives, a perfect fit for servers, and bulk storage. Exos X drives are a perfect fit for storage-intensive workloads. With a 2.5 million hour MTBF rating and 40 years of hard drive experience behind it, Exos X drives offer superior performance, reliability, security, and flexibility. Get the most out of your business NAS, servers, and JBOD storage.